Katy Briel is in her 13th year as Band Director at Clark-Pleasant Middle School in Greenwood, IN. Her responsibilities include teaching 4 ability based concert bands, middle school Jazz Band, beginning brass, and assisting with the Whiteland Community High School Marching Band. The Clark-Pleasant Middle School Bands have been an ISSMA Junior High All-Music Award recipient for the past three years and consistently receive gold ratings at ISSMA Concert Band contest. Before her position with the Clark-Pleasant bands, Katy was band director at Lincoln Junior High School in Plymouth Indiana for 2 years. For the past 7 years, Katy has been the band director coordinator for the Drum Corp International INpact Band: Indiana’s Future Band of middle school students that perform at DCI World Championships in Indianapolis each year. She is also a part of the expansion for the DCI Bandtastic weekends at the Regionals in Minnesota and Atlanta, Georgia. She is a member of the Leadership Staff for the Indiana State University’s Drum Major and Leadership Clinic and a staff member for the Indiana Ambassador’s of Music where she has been a director on 4 European tours. Mrs. Briel is the area representative for the Indiana Band Master's Association and the Membership Coordinator for the Indiana Music Educator's Association. 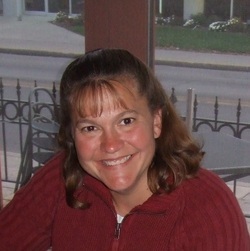 Mrs. Briel was recently elected as an zone representative on the Indiana State School Music Association's Board. Katy enjoys giving back to her profession through being a clinician and adjudicator for ISSMA Solo and Ensemble and Concert Band Organizational Contest as well as a 2015, 2016, and 2017 IBA All- Region Honor Band guest conductor. In addition to her passion for teaching, she enjoys living a life of service and was a 2013 TOMS shoe ticket-to-give winner which led her to a giving trip at Hogar de Ninos Emanuel in San Pedro Sula, Honduras. Katy received her Bachelor’s Degree in Music Education from Ball State University in May 2004. In addition to teaching, she loves playing her horn and has an active private lessons horn studio on the south side of Indianapolis where she resides with her family. Her boyfriend Josh is a trombone player and in Indy's New Orlean's Style Brass Band Pork & Beans. They have two kids Katie (12) and Nicole (6). Ms. Lang is a band director at Clark Pleasant Intermediate, Clark Pleasant Middle School, and is the director of the Whiteland High School Percussion Ensemble. Ms. Lang received her Bachelor's of Science degree in Music Education and her Master of Art in Percussion Performance from Ball State University. Abby Ellinger is in her 6th year of teaching in the Clark-Pleasant Schools. She is full time at the middle school with responsibilities including 4 concert bands, beginning flute, oboe, trumpet, and assisting with the jazz band and pep band. Mrs. Ellinger also assists with the Whiteland High School Marching Band. Mrs. Ellinger graduated from Whiteland Community High School in 2008 and Ball State University in 2012 with a Bachelor’s degree in K-12 Instrumental and General music. 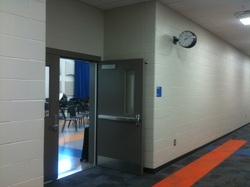 Mrs. Ellinger is on staff for the Indiana Ambassador's of Music and has been on 2 European tours. She is also a member of the Bluecoats Drum and Bugle Corp from 2008-2011. The Clark-Pleasant middle school bands is a co-curricular class which provides students with a musical experience, a sense of responsibility, team work, commitment, and discipline to the art. Students are provided a performance opportunity in the arts while continuing to work on their personal skills essential to their education as a total student. The Clark-Pleasant Middle School bands consistently receive Gold and Silver ratings at Indiana State School Music Association’s Middle School Concert Band Festival and Solo and Ensemble contest. The CPMS 8th grade band has competed for the past 3 years at the Holiday World Music Festival and been 1st place in the middle school division 2 years in a row. Students in the Clark-Pleasant Middle School bands have been selected and participated in the Indiana Bandmaster’s Association All-Region Honor Band and the Junior All-State Band on a yearly basis. The CPMS Bands have been awarded the ISSMA All-Music Award for hte past 3 years. The accomplishments of the Clark-Pleasant Middle School bands is based on the dedication from the students to the program. 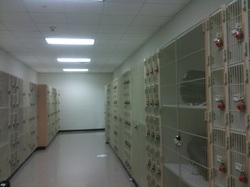 The 2011 - 2012 school year marked the opening of the new Clark-Pleasant Middle school. 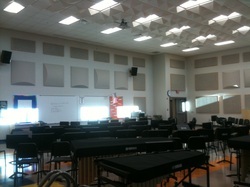 Band students have an incredible facility that will allow students excellent learning opportunities. We are excited to take advantage of this great area!